His memoir of the inside story of the Brexit referendum seems to have been universally panned by the press. James Kirkup’s evisceration in The Telegraph is particularly brutal. It is true that it is not that well-written. The number of times that Craig “runs into” a world famous politician and then is reminded of a pop-culture reference suggest it needed more careful editing. It has clearly been rushed out and is little more than a diary rather than a considered view of the campaign and its implications. But that was also true of Alastair Campbell’s diaries too. So, why the universal derision? I better declare an interest. I’ve known Craig for many years. He was a highly intelligent and capable programme editor at ITN and one of the driving forces behind ITV News during his tenure as Head of Output. He was a smart, driven but thoughtful journalist with a populist touch. We stayed in contact after he moved to the BBC and I briefly worked for David Cameron in opposition – although I’ve not seen him since his elevation to Number 10. But he’s not exactly clubbable. When he started working for Cameron I heard back from friends in the Lobby and on comment pages of newspapers that they found him supercilious, unconcerned with the needs of the print press and purely focussed on broadcast news. That was clearly the right thing to do in my opinion. Getting the message right on Radio 1, Radio 2 and the main broadcast bulletins watched by millions of voters is far more important than appeasing the Sunday Telegraph’s comment writers. But it is clear the Lobby has never forgiven him and is getting its revenge now. That said, this is an insight into the heart of the campaign and its failings. And it is surprisingly refreshing to see politicians actually being quoted in what would normally be off-the record moments. And that might be something the Lobby, with its reliance on anonymous sources, might want to reflect on. 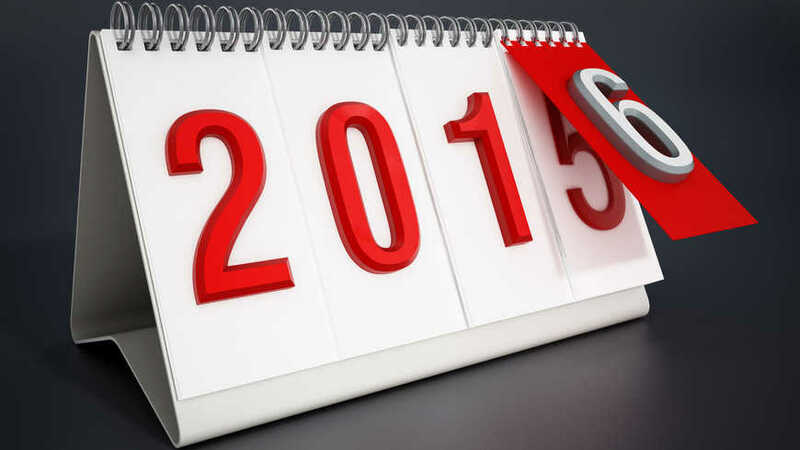 Media predictions 2015 – how did I do? Time to mark my own homework again. Each year I make some predictions about the coming 12 months – here’s the ones for 2015 – so how did I do? 1. Podcasts are back in fashion. Not much doubt about this one. You could hardly move for podcasts this year. Whether it’s the return of Serial ; those that have taken inspiration from its format, such as this one by the media commentator Peter Jukes; to those that support brands and content marketing; to the long wait for a new edition of the on hiatus Bugle; media organisations rediscovered their love of podcasting. The number of listeners seems to be up too – although perhaps not quite as dramatically as Serial’s astonishing figures would have you believe. Are they making money? Almost certainly not. Podcasts that involve reporting are expensive to make. Anything involving studios is expensive too. But where there’s audience, advertising will follow. And the old stager The Game, which I set up at The Times back in 2006, is still drawing audience and cross-sold advertising. Have TV companies taken on digital and made it their own in 2015? For the most part, the answer is no. TV companies still continue to treat digital as an upstart child that will eventually accept discipline. And digital native products continue to eat TV’s lunch. Take the BBC’s strategy of allowing Netflix to licence its back catalogue. Nuts! Netflix has built a business on its content and now looks like a serious competitor. That’s short term gain for long term pain. But there are glimmers of interesting experimentation – the millennial targeting AJ+ service has found an audience with sassy video takes on news stories. And, of course, there is the fact that digital native publishers such as Buzzfeed and Vice want to be TV broadcasters too. Perhaps they can find a lean-back experience to match the legacy TV organisations in 2016 and inject some much needed life into the sector. Scale has been the buzzword for newspaper publishers in 2015. Both The Guardian and The Mail have started to show progress on digital revenues. But it’s a far from consistent picture. News UK admitted defeat with The Sun’s paywall and decided to go free. The Times still remains behind the wall, at least for now. There’s some speculation that it too will ditch the paywall. I suspect that would be a mistake. A solid revenue and a loyal audience will have continuing value in the years ahead. Small steps then, but nonetheless steps towards the future. It has been a tough a year in the content business. Swamped by clickbait and repetitious stories audiences have sought better quality content. Ten years ago everybody wanted to be in aggregation – turns out there’s not much of a future there. And there’s no doubt that some of the valuations on today’s star start-ups look frothy too. Take a look at Buzzfeed. It’s a going concern, it made $7 million in 2013. But this year, NBCUniversal bought a $200 million dollar stake at a valuation of $1.5 billion. Buzzfeed has been investing heavily in editorial and, specifically, video. It sees itself as a key news and entertainment brand for the future. But NBCUniveral’s making a big bet based on little grounded evidence. Let’s call it a half. All the parties embraced social media for this election. You couldn’t move for Twitter argument, Facebook videos and a roar of furious agreement. What was curious though was just how limited its impact appears to have been. There seem to have been two main issues: trust and the self-reinforcing nature of social networks; we follow accounts that publish things we like and unfollow things we don’t. Over time the cumulative effect creates a bubble impenetrable by news that doesn’t reinforce our prejudices. And if, by chance, we do encounter any it is dismissed as a result of cognitive dissonance. That’s a lesson politicians need to learn quickly. Especially those, such as the Labour leadership, who want to cut the mainstream media from their communications strategy. All up, I reckon that’s three and a half out of five. Not bad. Predictions for 2016 to follow. Author Matt WalshPosted on December 29, 2015 December 29, 2015 Categories Digital news, Future of News, Newspapers, Podcasts, Political news, TV news, Year in ReviewTags Buzzfeed, Podcasts, social media, Social news, The Sun, Vice News1 Comment on Media predictions 2015 – how did I do?